Map showing the Maas (dark green) between the Scheldt (light blue) and the Rhine (cyan) with Tongeren and other cities on the Maas. Caesar is the primary source for the location of the Eburones. The exact borders are difficult to be certain about, but the region that they and their fellow Germani inhabited corresponds to some extent with the later Roman district of Germania Inferior, enclosed by the northern bend of the river Rhine, and including a stretch of the Meuse river (Dutch: Maas) stretching from the Ardennes until the river deltas of the Rhine and Meuse. In the early medieval church this evolved into the original church province of Cologne (later stretching beyond the Rhine), which included the Diocese of Liège that had evolved from the Civitas Tungrorum. This large area included large parts of what are now the southern Netherlands, eastern Belgium, and the German Rhineland. 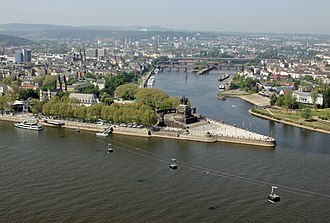 At one point Caesar reported that the greatest part of the Eburones settled between the Mosa (Maas or Meuse) and the Rhine. And "on this basis German scholars place them in the northern Eifel". On the other hand, Caesar places Atuatuca, the fort of the Eburones, about the middle of the territory of the Eburones; and it is possible this was Tongeren, which had the ancient name of Aduatuca Tungrorum. (This identification is also uncertain however, because Atuatuca might have been a word for fortress, or some other type of population centre. Other sites have been proposed, including nearby Mount Saint Peter, on the Maas river itself, but also places such as Spa, in the Ardennes.) More generally Caesar's description of a narrow defile to its west, suitable for ambush, is a type of landscape less common as one goes north in this region, towards the low-lying Campine. Gold stater of the Eburones. Triskele on the obverse, Celticized horse on the reverse. Belgian archaeologists identify them with the cultural group in northern Limburg and Kempen (Campine) which showed such strong continuity in Urnfield times. This would certainly account for the propinquity of Eburones and Menapii mentioned by Caesar; the distribution of war-time staters attributed to the Eburones (a mixture of transrhenine and Treveran elements) also corresponds with this group." Furthermore, to the north and northwest, the Eburones bordered on the Menapii, who lived near the mouth of the Rhine river, though "protected by one continued extent of morasses and woods", and had ties of hospitality with them. And at one point Caesar indicates that when the Eburones went into hiding, they not only dispersed into the Ardennes and morasses, but "those who were nearest the ocean concealed themselves in the islands which the tides usually form". This is also seen to indicate that at least part of the Eburones lived west of the Maas, closer to the river deltas. 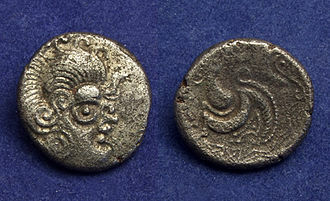 Nico Roymans has argued, based on concentrations of coin finds, that there were Eburones as far north as the eastern part of the Dutch river-area, an area later inhabited by Batavians, a Roman-era Germanic group who may have included remnants of the older Eburonic population. When the Tencteri and Usipetes, who were Germanic tribes, crossed the Rhine from Germania in 55 BCE, Caesar reported that they first fell on the Menapii, then crossed the Maas towards a tribe called the Ambivariti (otherwise unknown) and then advanced into the territories of the Eburones and Condrusi, who were both "under the protection of" the Treveri to the south. Apart from being under the protection of the Treveri, the Eburones also had close dealings with the Nervii, a large Belgic tribe to the west of them, who much later had their Roman provincial capital in Bavay (later moved to Cambrai). Neighbouring both the Nervii and the Eburones, possibly between them, were also the Aduatuci (or Atuatuci). Caesar reported that Ambiorix had been forced to pay tribute to them before the Romans came, and that his own son and nephew had been kept by them as hostages in slavery and chains. It was with these two tribes, that the Eburones could quickly form a military alliance against Caesar's forces. The location of the Aduatuci is not clear, but their name appears to be related to the names of both the capital of the Eburones "Aduatuca" and the capital of the later Tungri "Aduatuca Tungrorum" (modern Tongeren) which may have been the same place. Caesar also reports that during his conflict with them, the Eburones had some sort of alliance, organized via their allies the Treveri, with the Germanic tribes over the Rhine. Linguist Maurits Gysseling proposed that placenames such as Avendoren (Tienen), Averdoingt (Arras), Averbode, and Avernas (Hannut) may be derived from the Eburones. Caesar's forces clashed with an alliance of Belgic tribes in 57 BCE in the Battle of the Sabis. Before that battle, information from the Remi, a tribe allied with Rome, stated that the Germani (the Condrusi, the Eburones, the Caeraesi, and the Paemani) had collectively promised, they thought, about 40,000 men. These were to join 60,000 Bellovaci, 50,000 Suessiones, 50,000 Nervii, 15,000 Atrebates, 10,000 Ambiani, 25,000 Morini, 9,000 Menapii, 10,000 Caleti, 10,000 Velocasses, 10,000 Viromandui, and 19,000 Aduatuci. The whole force was led by Galba, king of the Suessiones. However, the alliance did not work. The Suessiones and Bellovaci surrendered after the Romans defended the Remi and then moved towards their lands. And after this the Ambiani offered no further resistance and the Nervii, along with the Atrebates and Viromandui, formed the most important force on the day of the battle. The Eburones are not mentioned specifically in the description of the battle itself, but after the defeat the Eburones became important as one of the tribes continuing to resist Roman overlordship. In 54 BCE, Caesar's forces were still in Belgic territory, having just returned from their second expedition to Britain, and needed to be wintered. Crops had not been good, due to a drought, and this imposition upon the communities led to new conflict. This insurrection started only 15 days after a legion and five cohorts (one and a half legions) under the command of Caesar's legates, Quintus Titurius Sabinus and Lucius Aurunculeius Cotta arrived in their winter quarters in the country of the Eburones. The Eburones, encouraged by messages from the Treveri king Indutiomarus, and headed by their two kings, Ambiorix and Cativolcus, attacked the Roman camp; and after inducing the Romans to leave their stronghold on the promise of a safe passage, massacred nearly all of them (approximately 6000 men). Encouraged by this victory, Ambiorix rode personally first to the Aduatuci and then to the Nervi, arguing for a new attack on the Roman wintering in Nervian territory under the command by Quintus Tullius Cicero, brother of the famous orator. The Nervii agreed and summoned forces quickly from several tribes under their government, Centrones, Grudii, Levaci, Pleumoxii, and Geiduni. Caesar reported that this was thwarted by his timely intervention, and the Belgic allies dispersed, Caesar "fearing to pursue them very far, because woods and morasses intervened, and also [because] he saw that they suffered no small loss in abandoning their position". In the meantime Labienus, one of Caesar's most trusted generals, was wintering in the territory of the Treveri, and also came under threat when news of the Eburones rebellion spread. 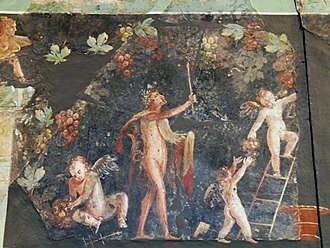 Eventually, he killed the king of the Treveri, Indutiomarus. "This affair having been known, all the forces of the Eburones and the Nervii which had assembled, depart; and for a short time after this action, Caesar was less harassed in the government of Gaul." In the following year Caesar entered the country of the Eburones, and Ambiorix fled before him. Cativolcus poisoned himself with a concoction from a yew tree. 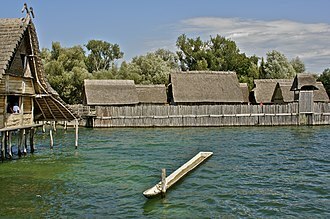 The country of the Eburones was difficult for the Romans, being woody and swampy in parts. Caesar invited the neighboring people to come and plunder the Eburones, "in order that the life of the Gauls might be hazarded in the woods rather than the legionary soldiers; at the same time, in order that a large force being drawn around them, the race and name of that state may be annihilated for such a crime". The Sicambri, from east of the Rhine, were one of the main raiders. While Caesar was ravaging the country of the Eburones, he left Quintus Tullius Cicero with a legion to protect the baggage and stores, at a place called Aduatuca, which he tells us, though he had not mentioned the name of the place before, was the place where Sabinus and Cotta had been killed. The plan to take advantage of the Sicambri back-fired when the Eburones explained to the Sicambri that the Roman supplies and booty, not the refugees, were the most attractive target for plundering. Caesar reports that he burnt every village and building that he could find in the territory of the Eburones, drove off all the cattle, and his men and beasts consumed all the corn that the weather of the autumnal season did not destroy. He left those who had hid themselves, if there were any, with the hope that they would all die of hunger in the winter. Caesar says that he wanted to annihilate the Eburones and their name, and indeed we hear no more of the Eburones. Their country was soon occupied by a Germanic tribe with a different name, the Tungri. However, as discussed further below, the report of Tacitus that the Tungri were the original "Germani" that came earliest over the Rhine, and the way this matches the description by Caesar of the Eburones and their neighbours, leads to the possibility that they survived under a new name. Under the Romans, one of the tribes associated with the Tungri, and apparently living in the north of their area, in the modern Campine, were the Toxandrians. Like the Tungri, they were never mentioned by Caesar. Like the Condrusi (whom Caesar had mentioned, and who continued to exist under Roman rule), the Texuandri or Toxandrians were recognized as a distinct grouping for the administrative purpose of mustering troops. The etymology of this name is uncertain, but it has been proposed that it may be a translation of the original Gaulish name of the Eburones, referring to the yew tree (taxus in Latin). As mentioned above, in the extreme north of the possible Eburone range, the area where the Maas and Rhine enter the Netherlands today, it has been proposed that some Eburones, together with Germanic immigrants from further east, joined the new Batavian tribal grouping who contributed an important fighting force to the Roman military. It is probable that the Eburones contained both Gallic and Germanic elements. Despite being regarded as Belgae, a type of Gaul, Julius Caesar says that the Condrusi, Eburones, Caeraesi, Paemani, and Segni were called by the collective name of Germani and had settled there some generations ago having come from the other side of the Rhine. The Eburones are therefore amongst the so-called Germani cisrhenani 'Germans on this side of the Rhine', i. e. Germanic peoples who lived south and west of the Rhine and may have been distinct from the Belgae. It is clear that the Belgic tribes of Gaul were culturally influenced by both Gaulish and Germanic neighbours, but the details, for example which languages they spoke, remains uncertain. Tacitus suggests that it was in this very region that the term Germani started to be used, even though he mentions a tribe Caesar did not mention, the Tungri. The name Germany, on the other hand, they say, is modern and newly introduced, from the fact that the tribes which first crossed the Rhine and drove out the Gauls, and are now called Tungrians, were then called Germans [Germani]. Thus what was the name of a tribe, and not of a race, gradually prevailed, until all called themselves by this self-invented name of Germans, which the conquerors had first employed to inspire terror. This is often interpreted as implying that the Tungri, a name later used to refer to all the tribes of this area, were descendants of several tribes including the ones Caesar said were called Germani collectively. The name may even be an artificial name meaning "the sworn ones" or confederates. There is still discussion about the possibility of these Germani not being "German" in terms of language and ancestry. A number of arguments have been proposed in favour of them having spoken a Celtic language. Although the term Germanic has a linguistic definition today, Roman authors such as Caesar and Tacitus did not clearly divide the Celts from what they called the Germans based on languages. On the contrary, both authors tended to emphasize, partly for political reasons, the differences in terms of the levels of civilization which had been attained, with Germanic peoples being wilder and less civilized peoples, requiring military and political considerations. The names of their kings, such as Ambiorix and Catuvolcus, are undoubtedly Celtic. Also the material culture of the region, has been found by archaeologists to be highly Celtised, clearly in contact with the Celts of central Gaul, though far less rich in terms of Mediterranean luxury goods. They were not so strongly linked to the east of the Rhine. This would at the very least seem to suggest that at least the upper echelons were Celtic or had adopted a Celtic language and culture. The tribal name has also been explained as being Celtic, *eburo- meaning 'yew(-tree)', which is also attested in personal names and place-names such as Eboracum (York), Ebora (Évora) and Eburobrittium. This etymological derivation would give Caesar's story in which King Catuvolcus committed suicide by taking in the poisonous juice from the yew-tree an extra layer of meaning. The etymology is rendered somewhat less certain by the existence of Germanic *ebura 'boar', although this element is not as well represented in the contemporary onomastic record. There are clues which are sometimes taken to indicate that the local peoples in former Eburonic territories spoke or adopted Gaulish, or some form of it. One of the basic influences on the pronunciation of Dutch is a Gallo-Romance accent. This means that in the Gallo-Roman period, when the Eburones had officially ceased to exist, the Latin which was then spoken was strongly influenced by a Gaulish substrate. On the other hand, studies of placenames such as those of Maurits Gysseling, have been argued to show evidence of the very early presence of early Germanic languages throughout the area north of the Ardennes. The sound changes described by "Grimm's Law" appear to have affected names with older forms, apparently already in the 2nd century BCE. It is argued furthermore that the older language of the area, though apparently Indoeuropean was not Celtic (see Nordwestblock) and therefore that Celtic, though influential amongst the elite, might never have been the language of the area where the Eburones lived. A further complication is that the population of the Eburones may have been made up of different components. As mentioned above, archaeological evidence implies continuity going back to Urnfield times, but with signs that militarized elites had moved in more than once, bringing forms of the Celtic-associated cultures known as Hallstatt and later La Tène. No clear archaeological evidence has been found to confirm Caesar's account that the Eburones came specifically from over the Rhine. However, these Celtic cultures were also present there, and in the period when Caesar supposes that they arrived, the peoples immediately over the Rhine were most likely not speakers of a Germanic language. ^ a b c Wightman, Edith Mary (1985), Gallia Belgica, University of California Press , page 30-31. ^ Wightman, Edith Mary (1985), Gallia Belgica, University of California Press , page 40. ^ Julius Caesar, Gallic War VI.32. ^ Nico Roymans, Ethnic Identity and Imperial Power. The Batavians in the Early Roman Empire. Amsterdam Archaeological Studies 10. Amsterdam 2004, chapter 4; also see page 249. ^ "Gallic War" V.38 - V.39. ^ Julius Caesar, Gallic War V.40 and V.52. ^ Waldman, Carl; Mason, Catherine (2006). Encyclopedia of European Peoples. Infobase Publishing. p. 225. ISBN 1438129181. ^ Lamarcq, Danny; Rogge, Marc (1996), De Taalgrens: Van de oude tot de nieuwe Belgen, Davidsfonds page 47. ^ Lamarcq, Danny; Rogge, Marc (1996), De Taalgrens: Van de oude tot de nieuwe Belgen, Davidsfonds page 44. ^ Wightman, Edith Mary (1985), Gallia Belgica, University of California Press pages 13-14. Coin cache discovered in Maastricht[permanent dead link], 13 November 2008 (The Associated Press), or read article in Dutch: 'Keltische goudschat ontdekt bij Maastricht', 13 November 2008 (Volkskrant). 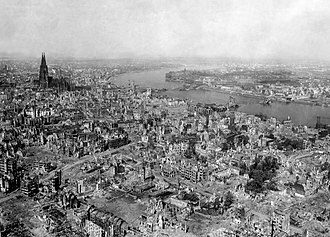 The Rhineland is the name used for a loosely defined area of Western Germany along the Rhine River, chiefly its middle section. In the High Middle Ages, numerous Imperial States along the river emerged from the stem duchy of Lotharingia. The term covered the whole occupied zone west of the Rhine including the bridge-heads on the eastern banks, after the collapse of the French dominated West Bank in the early 19th century, the regions of Lower Rhine and Jülich-Cleves-Berg were annexed to the Kingdom of Prussia. In 1822 the Prussian administration reorganized the territory as the Rhine Province, following the First World War, the western part of Rhineland was occupied by Entente forces, demilitarized under the 1919 Treaty of Versailles. German forces remilitarized the territory in 1936, as part of a diplomatic test of will, stretching down to the North Palatine Uplands in the south, this area, except for the Saarland, more or less corresponds with the modern use of the term. The southern and eastern parts are mainly hill country, cut by valleys, principally the Middle Rhine up to Bingen and its Ahr, Moselle. The border of the North German plain is marked by the lower Ruhr, in the south, the river cuts the Rhenish Massif. 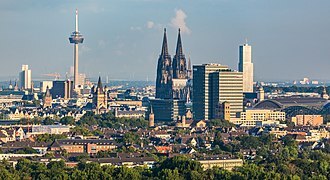 The area encompasses the western part of the Ruhr industrial region, toponyms as well as local family names often trace back to the Frankish heritage. The lands on the shore of the Rhine are strongly characterised by Roman influence. In the core territories, large parts of the population are members of the Catholic Church. On the right bank of the Rhine, between the Main and the Lahn, were the settlements of the Mattiaci, a branch of the Germanic Chatti, while farther to the north were the Usipetes and Tencteri. Julius Caesar conquered the tribes on the left bank, and Augustus established numerous fortified posts on the Rhine. The Frankish conquerors of the Rhenish districts were singularly little affected by the culture of the Roman provincials they subdued, by the 8th century the Frankish dominion was firmly established in western Germania and northern Gaul. On the division of the Carolingian Empire at the Treaty of Verdun the part the province to the east of the fell to East Francia. Bavay is a French commune in the Nord department in the Hauts-de-France region of northern France. The city is the capital of the canton called Bavay, the inhabitants of the commune are known as Bavaisiens or Bavaisiennes Bavay is located some 20 km east by south-east of Valenciennes and 10 km west of Maubeuge. Main access is on the D649 highway between two towns which passes through the commune just north of the town. Many roads radiate from the town, the D305 north-west, the D84 north-east, the D932 east by north-east, the D961 south-east, the D932 south-west, the D942 west by south-west, and the D2649 west. A disused railway runs to the commune from Maubeuge and there is an abandoned railway station south-west of the town. Apart from the town the commune is entirely farmland, the Hogneau or Bavay river runs through the commune to the west joined by several streams in the commune. The Riez Raoult rises in the north of the commune and flows north while the Ruisseau du Louvion rises nearby, the Ruisseau dAviette rises in the east and flows east from the commune. The Ruisseau des Pres comes from the south-east and forms part of the border before joining the Bavay river. The Ruisseau de Mecquignies comes from the south and flows to the Bavay river, according to Wauquelin, seven roads, dedicated to the planets Jupiter, Venus, Mercury, the Sun, and the Moon, left from seven temples in the city. The introduction of an elective monarchy signaled the decline of the city of Belges and this episode has been considered a fable by most historians since the 19th century and even more so the bloody infighting which opposed the reign of Belges Queen Ursa by the former King Ursus. The columnist and historian of Hainaut, Jacques de Guise was simply called Belgis, the birth of Bavay after the conquest was the result of the reorganization of the territory by Augustus. The parts of Gaul conquered by Caesar were divided into three provinces, the region between the Seine and the Rhine was Gallia Belgica and its capital was at Reims. It was divided into cities —administrative districts which were headed by a chief town, living in this district were some of the fiercest people of Northern Gaul and they occupied a vast area between the Scheldt, the Sambre, and the Meuse, the Nervii. Commentarii de Bello Gallico, simply Bellum Gallicum, is Julius Caesars firsthand account of the Gallic Wars, written as a third-person narrative. In it Caesar describes the battles and intrigues that took place in the nine years he spent fighting the Germanic peoples and Celtic peoples in Gaul that opposed Roman conquest. The Gaul that Caesar refers to is sometimes all of Gaul except for the Roman province of Gallia Narbonensis, encompassing the rest of modern France and some of Switzerland. On other occasions, he refers only to that territory inhabited by the Celtic peoples known to the Romans as Gauls, the work has been a mainstay in Latin instruction because of its simple, direct prose. It begins with the quoted phrase Gallia est omnis divisa in partes tres. The full work is split into eight sections, Book 1 to Book 8, Book 8 was written by Aulus Hirtius, after Caesars death. The boni intended to prosecute Caesar for abuse of his authority upon his return, such prosecution would not only see Caesar stripped of his wealth and citizenship, but negate all of the laws he enacted during his term as Consul and his dispositions as pro-consul of Gaul. To defend himself against these threats, Caesar knew he needed the support of the plebeians, particularly the Tribunes of the Plebs, by winning the support of the people, Caesar sought to make himself unassailable from the boni. The work is a paradigm of proper reporting and stylistic clarity and it is often lauded for its polished, clear Latin. It contains many details and employs many stylistic devices to promote Caesars political interests, the books are valuable for the many geographical and historical claims that can be retrieved from the work. Notable chapters describe Gaulish custom, their religion, and a comparison between Gauls and Germanic peoples, since Caesar is one of the characters in the Astérix and Obélix albums, René Goscinny included gags for French schoolchildren who had the Commentarii as a textbook. One example is having Caesar talk about himself in the person as in the book. Some English editions state that Astérixs village of indomitable Gauls is the part of Gaul. In Book 5, Chapter 44 the Commentarii de Bello Gallico notably mentions Lucius Vorenus and Titus Pullo, during World War I the French composer Vincent dIndy wrote his Third Symphony, which bears the title De Bello Gallico. Mount Saint Peter, referred to as Caestert Plateau, is the northern part of a plateau running north to south between the valleys of the river Geer to the west, and the Meuse to the east. The name of the hill, as well as the village and church of Sint Pieter. The plateau, of which Mount Saint Peter is part, is bounded on the east by the Meuse river, since the 1930s, the Albert Canal divides the hill in two sections. Near the small Liège province village of Lanaye the canal cuts through the ridge over a length of 1,300 metres and 65 metres deep. The Lanaye locks at the end of the cut permit boats to pass from the upper Meuse. To the east of these locks the Meuse has altered its course, creating backwaters, Mount Saint Peters limestone composition, its deposits of flint nodules and its geographic position make it a remarkable place. The locale has been mined for flint from Neolithic times, the network of mining tunnels extended 200 kilometres by the 19th century but was severely shortened in the 20th century by surface mining. These days Mount Saint Peter is considered an important nature reserve, as well as an area for recreation, in the part of Mount Saint Peter that is in the Flemish municipality of Riemst, archaeological evidence of an Iron Age fortress has been found. The fortress is one of the strongest contenders for being identified as the fortress Atuatuca of the Eburones, dendrochronological evidence was once thought to count against this proposal, but more recent review of the evidence has reinvigorated the idea. During the Middle Ages several castles were built on the hill, the hill was favoured by attackers during the various sieges of Maastricht, most notably by Louis XIV of France in the Siege of Maastricht. As a result of this, the fortress Sint-Pieter was built on the northern edge, around 1765 the skull of a Mosasaurus was discovered here in a limestone quarry, one of the first recognised reptile fossils, which was acquired by the Teylers Museum in Haarlem. A more famous Mosasaurus fossil was found between 1770 and 1774 but was confiscated by the French in 1794 and is now in the Muséum national dHistoire naturelle in Paris. Arras is the capital of the Pas-de-Calais department, which forms part of the region of Hauts-de-France, prior to the reorganization of 2014 it was located in Nord-Pas-de-Calais. It is located in Northern France on the Scarpe river, the Arras plain lies on a large chalk plateau bordered on the north by the Marqueffles fault, on the southwest by the Artois and Ternois hills, and on the south by the slopes of Beaufort-Blavincourt. On the east it is connected to the Scarpe valley, established during the Iron Age by the Gauls, the town of Arras was first known as Nemetocenna, which is believed to have originated from the Celtic word nemeton, meaning sacred space. The first mention of the name Arras appeared in the 12th century, some hypothesize it is a contraction of Atrebates, a Belgic tribe of Gaul and Britain that used to inhabit the area. The name Atrebates could have evolved to become Atrades, Aras. Others believe it comes from the Celtic word Ar, meaning running water, Arras is Pas-de-Calais’ third most populous town after Calais and Boulogne-sur-Mer. The town counted 43,693 residents in 2012, with the Arras metropolitan area having a population of 124,200, Arras is located 182 kilometers north of Paris and can be reached in 2 hours by car and in 50 minutes by TGV. It is the center of the former Artois province. Its local speech is characterized as a patois, the city of Arras is well known for its architecture and history. It was once part of the Spanish Netherlands, a portion of the Low Countries controlled by Spain from 1556 to 1714, each year Arras attracts thousands of visitors, who explore the citys architecture and historic buildings. Some famous attractions include the splendid Town Hall and its Belfry, the Boves, the Squares, the Art District, the Abbey District, the Vauban Citadel, unlike many French words, the final s in the name Arras should be pronounced. Archaeologists found evidence of human settlements in the Scarpe basin. The archaeological sites of Mont-Saint-Vaast in Arras and Biache-Saint-Vaast were Stone Age settlements of the Mousterian culture and they were evidenced by the finds of stone tools. 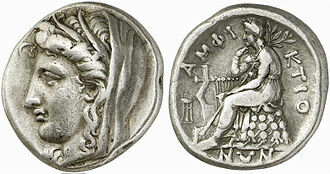 Ambiorix was, together with Cativolcus, prince of the Eburones, leader of a Belgic tribe of north-eastern Gaul, where modern Belgium is located. 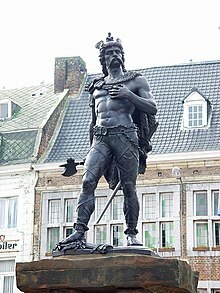 In the nineteenth century Ambiorix became a Belgian national hero because of his resistance against Julius Caesar, in 57 BC Julius Caesar conquered parts of Gaul and Belgica. There were several tribes in the country who fought against each other frequently, the Eburones were ruled by Ambiorix and Catuvolcus. In 54 BC Caesars troops urgently needed food, and so the local tribes were forced to give up part of their harvest. Understandably the starving Eburones were reluctant to do so and Caesar ordered that camps be built near the Eburones villages, each centurion was ordered to make sure the food supplies were delivered to the Roman soldiers. This created resentment among the Eburones, although Julius Caesar had freed him from paying tribute to the Atuatuci, Ambiorix joined Catuvolcus in the winter of 54 BC in an uprising against the Roman forces under Q.
Titurius Sabinus and L. Aurunculeius Cotta, because a drought had disrupted his grain supply, Caesar was forced to winter his legions among the rebellious Belgic tribes. Titurius Sabinus and L. Aurunculeius Cotta were wintering among the Eburones when they were attacked by them, led by Ambiorix and Cativolcus. Ambiorix deceived the Romans, telling them the attack was made without his consent, trusting Ambiorix and Cottas troops left the next morning. A short distance from their camp, the Roman troops were ambushed by the Eburones, another Roman force under Q. Tullius Cicero, brother of the orator Marcus, were wintering amongst the Nervii, leading a coalition of rebellious Belgic tribes, Ambiorix surrounded Ciceros camp. After a long while, a Roman messenger was finally able to slip through the Belgic lines, mobilizing his legions, Caesar immediately marched to Ciceros aid. As they approached the besieged Roman camp, the Belgae moved to engage Caesars troops, vastly outnumbered, Caesar ordered his troops to appear confused and frightened, and they successfully lured the Belgae to attack them on ground favourable to the Romans. Tienen or Thienen is a city and municipality in the province of Flemish Brabant, in Flanders, Belgium. The municipality comprises the city of Tienen proper and the towns of Bost, Hakendover, Oorbeek, Sint-Margriete-Houtem, on January 1,2006, Tienen had a total population of 31,835. The total area is 71.77 km2 which gives a density of 444 inhabitants per km². Tienen is known in Belgium as the center of sugar production, the huge sugar beet processing factory, the Sugar refinery of Tienen, is located at the eastern edge of the town. The company Citrique Belge is one of the biggest producers of citric acid, Tienen has a facility for making energy saving lamps by Havells-Sylvania. Other noticeable facts about Tienen include the station building, which is the oldest in Belgium that is still being used. Tienen is known for its summer rock festival Suikerrock. Other cultural landmarks include the pool and local community centre. The city was ruled by the very old German family Thienen in the early middle-ages. Nature reservation "de Teut" in the Campine municipality of Zonhoven, on the southern edge of the Campine. The Saint Lambertus cathedral during its destruction. The Roman province of Germania Inferior, showing Atuatuca, modern Tongeren, the capital of the Tungri (Tongres). Places associated with the Tungri are in bright green. It was on the road between Amiens and Cologne on the Rhine Limes. The Ubii (in orange) were originally from the other side of the Rhine river, but moved into part of the territory of the Eburones.